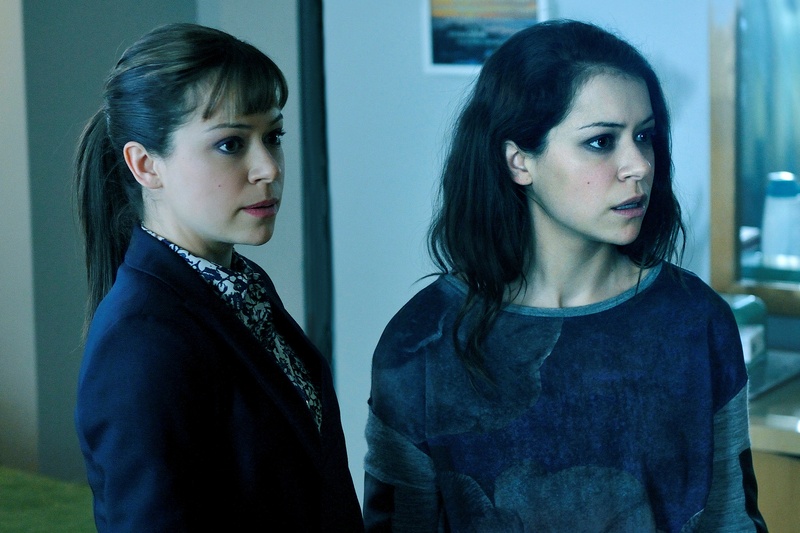 The new season hits the ground running with Sarah (Golden Globe® nominee Tatiana Maslany, Parks and Recreation), in a desperate race to find her missing daughter Kira (Skyler Wexler, Carrie) – a wild pursuit that brings her head-to-head with ruthless pro-clone, Rachel (Maslany). 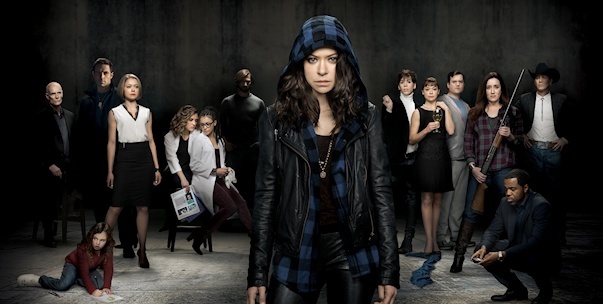 This season also rejoins Sarah’s clone sisters Alison (Maslany) and Cosima (Maslany) as they struggle to keep their clone world a secret and pick up the pieces of their broken lives – all while dealing with the harsh reality that no one around them can be trusted. 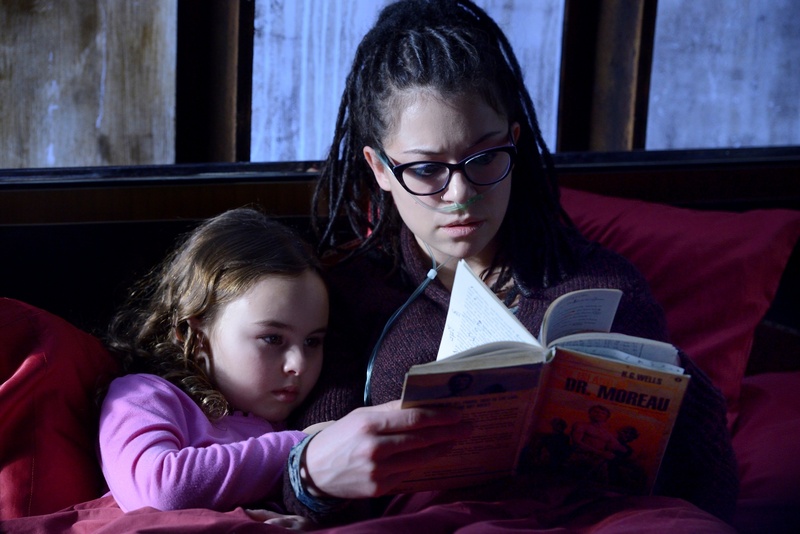 Oh Orphan Black, how I love you. It is a smart, addictive, twisty series full of science-y goodness and the most incredible performance by one person playing multiple characters since… I’m pretty sure it’s since ever. It is absolutely true that every time I list the cast, there is at least one split second where I think “now who is it that plays” [fill in a clone name]. Tatiana Maslany is a wonder. Take a look at that synopsis above, where she’s listed four times. And that’s only four of seven to date. Yet every clone has such a different personality, that one would never mistake one for the other. Unless of course she’s playing one clone pretending to be another, which happens. This isn’t one of those series that you can watch casually, while doing other things. You have to pay attention. Happily, that isn’t really a problem, since once you start watching, it is nearly impossible to look away. 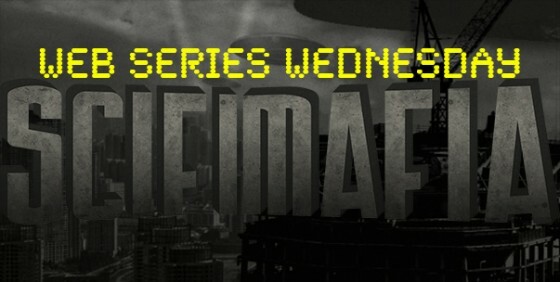 The series is full of layers of conspiracy and secrets to be uncovered, unforgettable charismatic characters, and pure addictive adrenaline. If you’ve been watching, you know. If you haven’t been, now is the time to start. That addictive nature is one of the reasons it’s so great to watch the show on DVD. If ever a series was perfect for bingeing, this is it. And while I love subscription streaming services, there are reasons for getting your very favorite TV seasons on disc, including no load times, no problems if your internet is down, and no worries that the service stops carrying the show. Plus there are bonus features on disc that you can’t get any other way. I’m sorry to say that most of the bonus features on this DVD set were made available online during the second season, but there are some disc-exclusive features that make up for it. 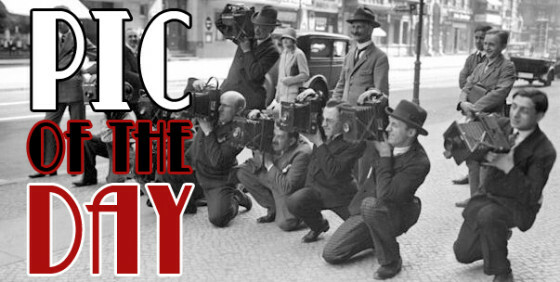 The Behind the Scenes featurettes are much-extended versions of featurettes available before; Script to Screen is 11 minutes, Hair and Makeup (Creating Rachel, etc) is around 5 minutes, The Two-Clone Smackdown which details the assembly of that famous Season 2 premiere scene is about 13 minutes. Even the Four Clone Dance Party is, at 9 minutes, longer than the “extended” featurette that we posted here on SciFiMafia.com. There is so much that goes into the complete believability that one woman is actually seven different people, beyond her own extraordinary talent, and those technical aspects are the source of most of the featurettes. They are fascinating. There is also a “deleted scenes” bonus feature that isn’t available elsewhere, and it’s the best kind. The co-creators introduce the scenes, putting them into context, so it’s not just a bunch of random scenes. In fact, the four scenes are all from one storyline in the season finale, and they’re terrific. I’ll not say more in case you’re new to the Clone Club. Suffice to say, the co-creators loved the scenes and were heartbroken to delete them, and you’ll see why. Finally, also included is the entire episode of “The Cloneversation,” the special aired by BBC America prior to the Season 2 premiere, featuring the stars and some famous fans discussing the show. There are a few headscratchers about this set that I need to mention. No commentaries, which is always a disappointment. Oddly, no episode titles anywhere, which is really a shame, because the episode titles were so intriguing (and reportedly quotes from Francis Bacon), my favorite being “Nature Under Constraint and Vexed.” Who hasn’t felt like that from time to time? In fact, not only are there no episode titles anywhere, there’s no liner or info card inside the case at all, and no index anywhere. Printed on each of the three (for DVD) discs is the disc number, the episode numbers, and for Disc 1, “The Cloneversation,” and for Disc 3, “Bonus Features.” I suppose with only ten episodes they didn’t feel the need for more, it’s just odd. The rest of the information about the set is printed on the back of the case, and on the back of the slipcover, which is identical to the case. But really, it doesn’t matter. Usually when a DVD or Blu-ray set comes up short on bonus features, my rating comes down by one star. But not for Orphan Black. The few new bonus features are worth the duplication of the rest of them, and while I miss the commentary, we are given commentary throughout most of the featurettes, so they’re forgiven. Orphan Black is one of the best TV series of the year, and if you haven’t seen it, get this DVD set. Just trust me. And if you’re already a member of the Clone Club, you know you need to own it. You deserve a rewatch. 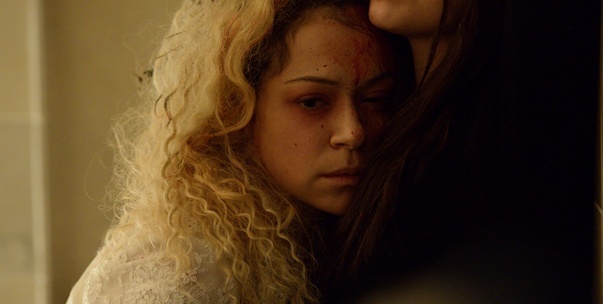 I give Orphan Black, Season 2 Five Out of Five Stars.